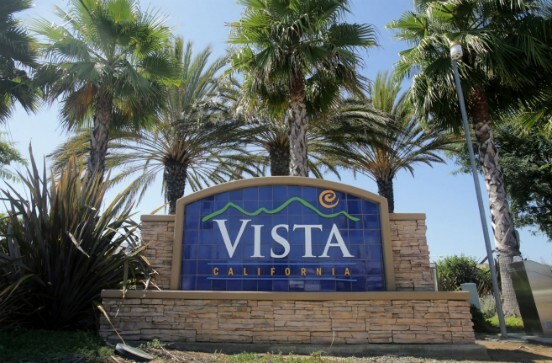 Where does Vista get its water from? The Vista Irrigation District’s original source of water, dating back to 1926, was from Lake Henshaw. The lake was later purchased by the District, along with the 43,000 acre Warner Ranch, in 1946. However, drought conditions and population growth eventually caused the District to look for other sources of water. In 1954, the District became a member of the San Diego County Water Authority to take advantage of water imported from the Colorado River and Northern California. In December 2015, the San Diego County Water Authority began receiving and distributing desalinated seawater from the Claude "Bud" Lewis Carlsbad Desalination Plant to its member agencies, including the Vista Irrigation District. Historically, 30 percent of the District’s water has come from Lake Henshaw and 70 percent is purchased from the Water Authority and includes, imported water from the Colorado River and the Sacramento River/San Joaquin River Delta in Northern California and desalinated sea water. During years when rainfall is significantly below average and the availability of local water is limited, well over ninety percent of the District’s water supply is purchased. Is Vista's tap water safe to drink?